When their beloved "Marmee" must leave to nurse Father who is badly wounded, the girls sustain themselves by putting to use the lessons of loyalty and patience they learned. When Beth, the shy sister, emulates her mother by helping the poor but catches scarlet fever from one of her charges, the trails of everyday life reach a climax. 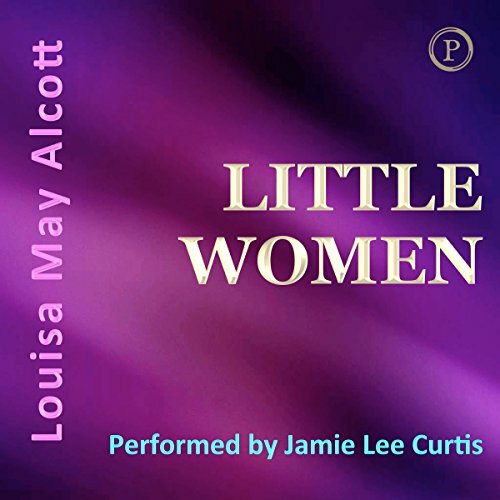 This great American classic demonstrates Louisa May Alcott's extraordinary talent at portraying the joys and struggles of family life in an unforgettable way. Read superbly by Jamie Lee Curtis, whose mother Janet Leigh starred as Meg in the 1949 MGM motion picture version of this story alongside Elizabeth Taylor, June Allyson and Margaret O'Brien. It was enjoyable but we couldn't tell exactly what chapter we were on because they didn't tell each chapter but it was a great book and pretty short for 54 chapters. I loved it and I hope others do too.